Our athletes safety is our number one priority. For this reason, it is mandatory for athletes to meet one on one with a member of our staff prior to joining. This is a simple assessment of your current fitness level as well as an opportunity for you to share your fitness goals with us. Yes, we REALLY want to know what you are looking to achieve. We love to see our community succeed. All athletes new to CrossFit will need to attend the On-Ramp Elements sessions prior to joining the regular class settings. Contact us today to schedule your appointment to begin YOUR journey to Be YOUR Best Self. On-Ramp Elements is a 3 day/week program that lasts 6 weeks. It is designed to provide instruction on the method and technique of our training and acclimate new athletes into our program. It is mandatory for all individuals starting our program. This program is offered periodically throughout the year. Contact us for an appointment. These are by appointment only. Due to the one-on-one nature of these sessions, there are limited spots available. Plan ahead for your booking needs. Ask about our military, police, firefighter, and student discount. Only one discount may be applied. Oilfield worker discount is available in some circumstances. Multi-member household discounts apply to members who reside at the same address, use the same payment method at once and if no other discounts are applied. Member discounts may be applied to CrossFit Kids classes for Crossfitters. 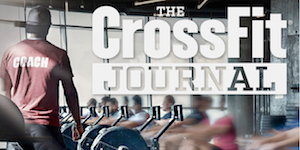 Crossfitter is someone who is a current active member at August CrossFit or another Affiliated CrossFit Gym. Proof will be provided upon request.